There were also reports that in the struggle the knife was at her throat before she fought off the intruder. This could have been much worse. 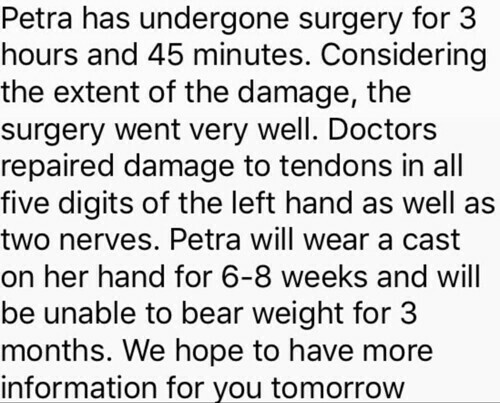 As it is, 3 months until any weight can be placed on her left hand. Forget any tennis in the near future. Just hoping for a full recovery and normal use of her hand. As a side note, as a three year old I nearly had my hand bitten off by a German Shepherd. Doctors at Lankenau Hospital just outside of Philly thought I'd never have use of it again but there just happened to be a specialist visiting that day from Korea. My grandmother pleaded for them not to amputate my left hand, which they recommended. So the Korean doctor assisted with emergency surgery and all these years later I still have full use if my injured hand with only a prominent scar and a slightly bent index finger at the tip. For the fourth annual edition of my WTA and LPGA money list countdown I will focus on the dynamic dozen from each tour, the top 12 on the money lists. For the WTA, singles, doubles and mixed are combined for total earnings. Here are the #5 players for 2016: Karolina Pliskova (WTA) and Shanshan Feng (LPGA). Sometimes a player can receive more acclaim for a match victory in a tournament they ultimately did not win than for title triumphs, particularly if that match victory came against a player of note. 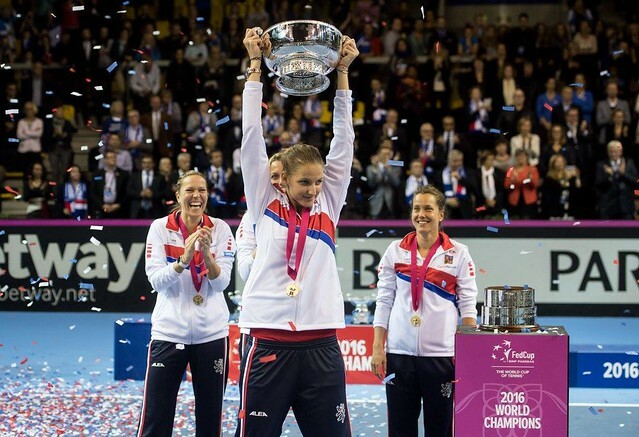 Such was the case in 2016 as Karolina Pliskova won 2 singles titles, 1 doubles title and the Fed Cup team title. 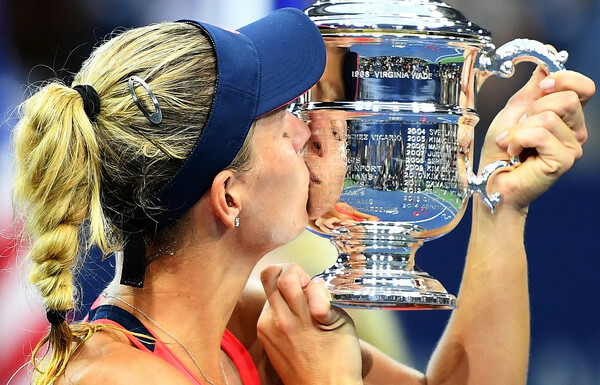 However, the WTA’s 2016 leader in aces might have made her biggest noise this season when she defeated Serena Williams 6-2 7-6 (5) in the US Open semifinals to delay the future Hall of Famer’s quest to move past Steffi Graf in Major singles titles. While Karolina would go on to lose a tough 3-setter to Angelique Kerber in the final, the talented Czech showed her capabilities when everything is clicking. Like her countrywoman Petra Kvitova (best wishes to Petra! ), consistency is her achilles heel. When Pliskova is on, she is really on. But when she isn’t, the errors can pile up. 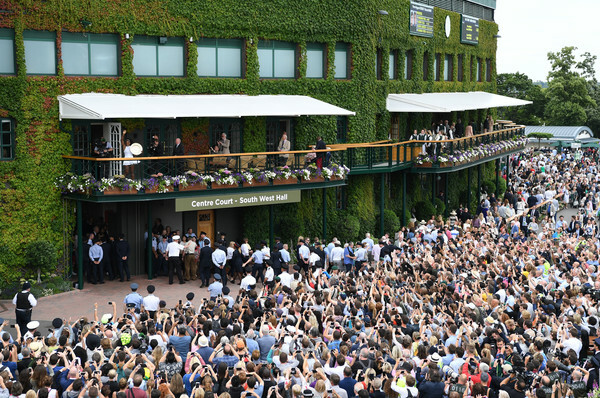 It’s a very exciting, hard-hitting, high risk high reward brand of tennis. Heading into 2017 with a new coach, maybe her success in 2016, which included a big title in Cincinnati at the Western & Southern Open, will be a springboard toward the top of the WTA mountain. Also like Petra before her, Karolina Pliskova has the talent to be #1. She wasn’t the Player of the Year. She didn’t win the Vare Trophy or the Money List title. But oh my goodness, did Shanshan Feng at times look like the best player on earth coming down the stretch. Late season back to back titles at Sime Darby and Toto, along with an Omega Dubai win (which to be fair, I do not include in the money list for this countdown because it’s a different tour) must have made Shanshan wish the year wouldn’t end. Since I have Petra Kvitova on my mind and compared Karolina Pliskova to her, I might as well do the same with Shanshan, in that when Feng is firing on all cylinders she can look like she belongs on the top of her sport. Now that I think about it, Shanshan’s happy nature is also Petra-esque, but I digress. Shanshan was in serious beast mode late in 2016, so much so that had the season been 3 months longer Lydia Ko and Ariya Jutanugarn might have been in trouble. As it stands, #4 ranked Shanshan is less than a point from #2 Ariya Jutanugarn in the Rolex Rankings. Feng is closer to May than May is to #1 Ko. So she would need more than 3 months to overtake Ko, but her play just has me a little worried about May repeating as Player of the Year if Shanshan can duplicate her late season play more often next year. From The Evian Championships in September to the Toto Japan Classic in November, Feng’s LPGA finishes alone were 4th, T4th, 2nd, T3rd, 1st, 1st. Again, that’s not even counting her LET finishes. 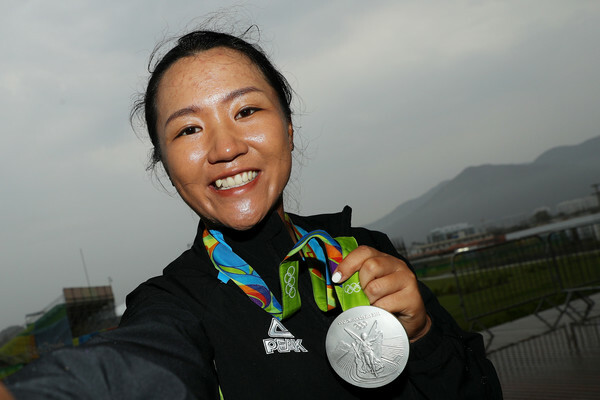 Oh, by the way, did I mention she was the Olympic bronze medalist, too…finishing behind Inbee Park and Ko? Yeah, that too. And off the LPGA and LET tours, Shanshan was a life winner by sponsoring the AJGA Shanshan Feng Junior Championship. For the fourth annual edition of my WTA and LPGA money list countdown I will focus on the dynamic dozen from each tour, the top 12 on the money lists. For the WTA, singles, doubles and mixed are combined for total earnings. 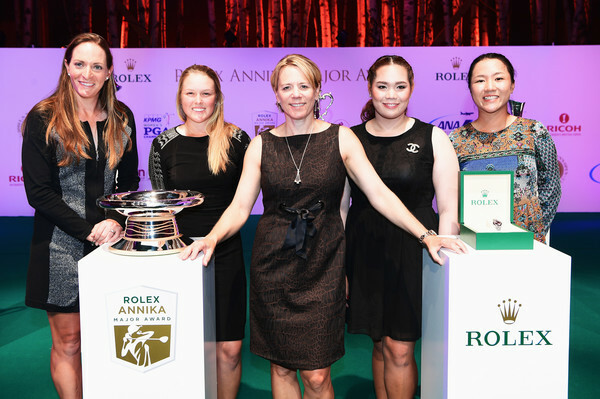 Here are the #4 players for 2016: Agnieszka Radwanska (WTA) and In-Gee Chun (LPGA). They really should either rename the WTA Fan Favorite Singles Player of the Year award after Agnieszka Radwanska or save us the pretense of any suspense and give it to her in January each season. Since its inception in 2009, Aga has owned this fan voted title. 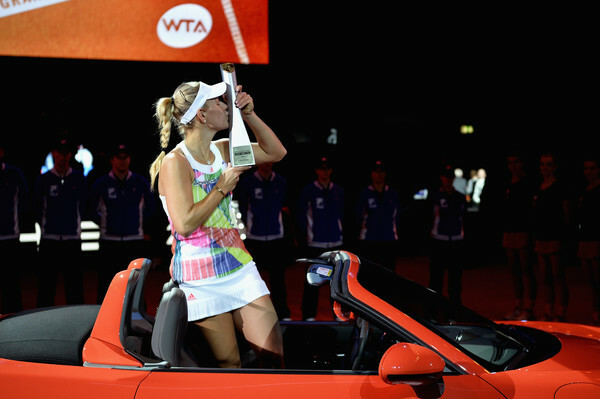 Elena Dementieva won it in 2009 followed by Maria Sharapova in 2010. 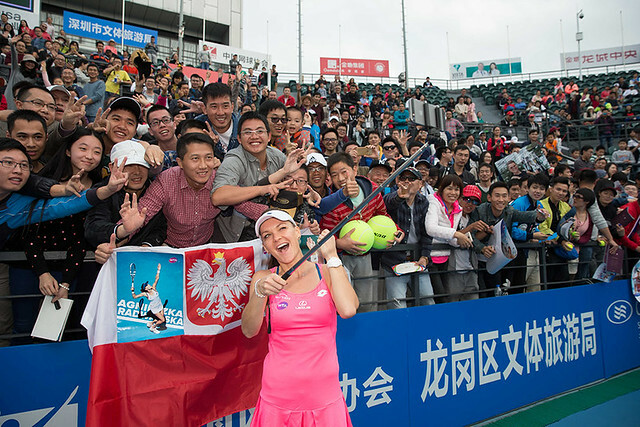 From 2011 through this 2016 season, it has gone exclusively to Radwanska. And it’s understandable, not because she keeps winning tournaments. 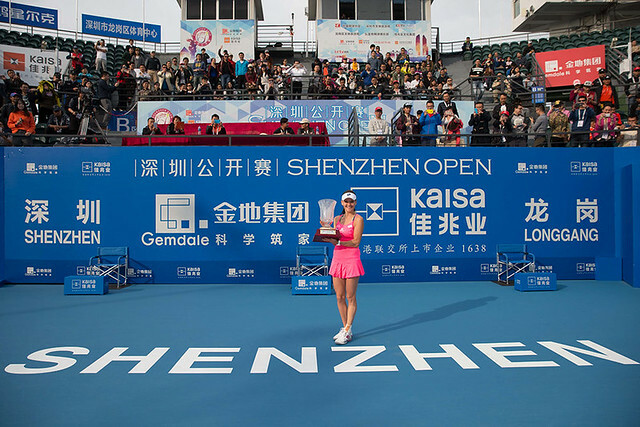 Sure, this season she reached 20 career WTA singles titles by winning in Beijing, New Haven and Shenzhen. But a lot players win titles. It’s the way Aga wins, with deft touch, seemingly impossible angles and a flair that seems reminiscent of a style of play lost amid today’s power hitters. 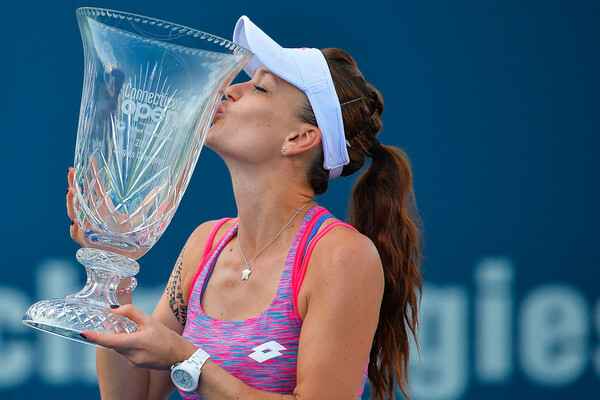 Radwanska shouldn’t be able to do what she does in this era, and yet the proof is in the results. 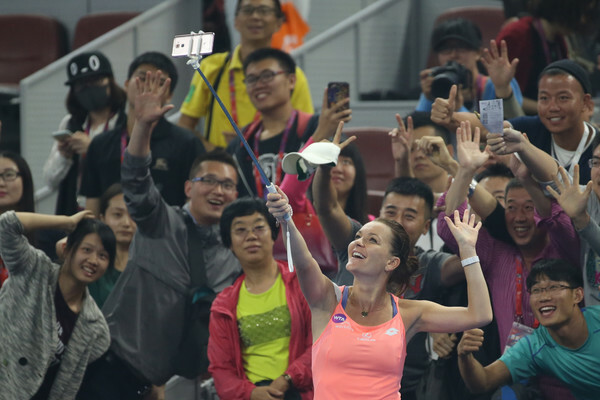 20 singles titles alone should get Aga into the Tennis Hall of Fame. At 27 years old, she probably has several years ahead of her to raise that total even higher. But she would be an absolute lock if she could reach #1 or win a Major. She should look at Angelique Kerber, who shares some similarities in style, and what she did to reach the top. 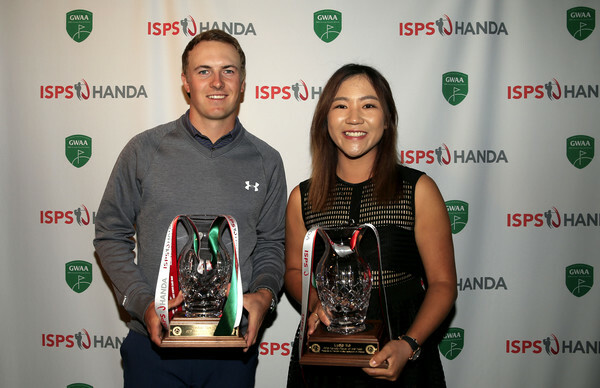 If your favorite LPGA player is somebody other than In-Gee Chun, for example mine is Ariya Jutanugarn, and if you are anything like me there is no 2-win LPGA player that should have you more scared than In-Gee Chun. Don’t let the single win in 2016 fool you. Prior to this season, In-Gee was busy collecting Majors on multiple tours, including a triumph at the 2015 US Women’s Open to win her way onto the LPGA Tour. And her win this season? Oh, that was “only” another Major, the Evian Championship. 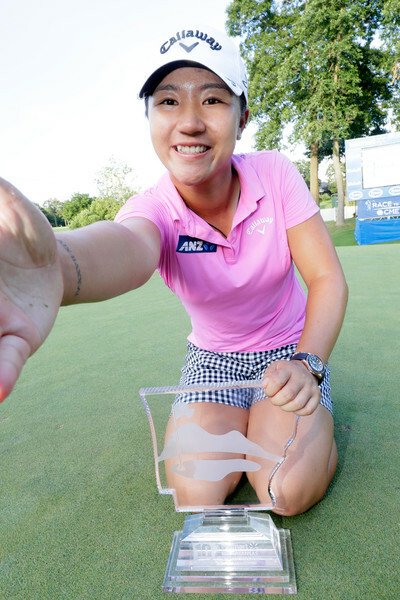 Not only did she win her 2nd LPGA in two seasons, she did so with a Major record score of 21-under. While she finished 4th on the money list, she is the sole player on this countdown of the top 12 below 20 tournaments played (19). While it’s not right to assume how she would have performed if she had played 31 events like Brooke Henderson or 24 events like Lydia Ko or 28 events like Jutanugarn, I cannot believe she would not have been at least #3 if not higher had she been able to avoid runaway luggage and not missed some events. If I were discussing some random player, I would not make assumptions about how well they would do. But I am posting about the 2016 Vare Trophy winner, the year’s top player by scoring average. So while there was one title, she needed a high level of consistency to have the lowest scoring average on tour. Including her win, she was in the top three in 36.8% of her events, in the top ten in 57.9%. In-Gee turned the Rookie of the Year race into a laugher, far outdistancing any so-called competition. If In-Gee Chun focuses on the LPGA next year and plays, say…25 events…Lydia, Ariya, Brooke and everybody else might be in trouble when it comes to 2017 Player of the Year honors. With so many sad goodbyes in the news lately, including this Star Wars fan saying goodbye to Our Princess, Carrie Fisher (and then Debbie Reynolds), it is with a bit of a heavy heart that I finally say a happy goodbye to Ana Ivanovic. Not happy in the sense that I wanted to see the 2008 Roland Garros champion announce her retirement after another injury plagued season. What I mean is that sometimes a player leaves the professional ranks and it just feels like it’s time. We, as fans, will miss the former world #1 but she seemed to already be transitioning into other endeavors with her game only a whisper of its past glory. Although only 29, her body is breaking down. The effort she would need to put in might not be worth whatever reward was in store. 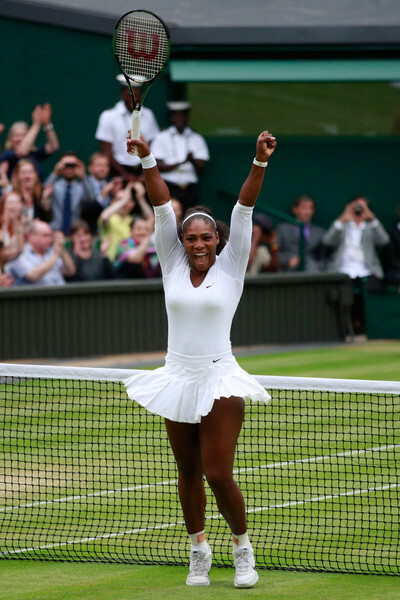 This former little girl who learned the game practicing in an empty swimming pool, cut sessions short to take shelter from bombs…BOMBS!…dropping in her then-war torn Serbia, surviving to one day sit on top of the women’s tennis mountain and become one of the players of her time most beloved by fans, has nothing to prove to anybody. Thank you for your class and the thrilling play over the years. Be well, Ana. For the fourth annual edition of my WTA and LPGA money list countdown I will focus on the dynamic dozen from each tour, the top 12 on the money lists. For the WTA, singles, doubles and mixed are combined for total earnings. 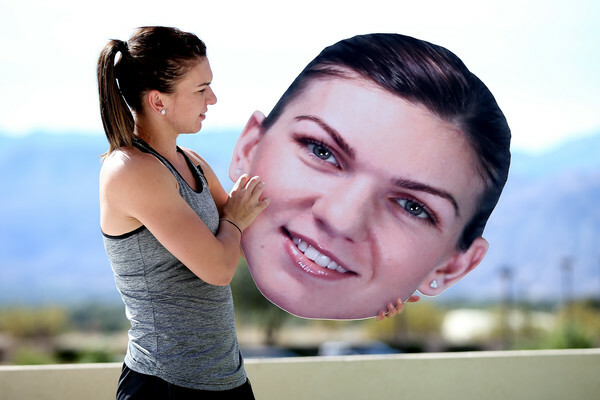 Here are the #3 players for 2016: Simona Halep (WTA) and Brooke Henderson (LPGA). It is a personal pleasure to get to the highest ranked player on this countdown who is also one of my four active WTA Mount Rushmore favorite players (Madison Keys, Petra Kvitova, Simona Halep and Maria Sharapova). Romania’s Simona Halep extended her streak of winning multiple titles in a season to 4 years with wins in Madrid, Bucharest and Montreal. Halep has 14 career WTA singles titles so far, with more to come I’m sure.. I would count her win in Madrid as the second biggest title of her career after Indian Wells in 2015. She even teamed up with countrywoman Monica Niculescu to finish runner-up in doubles in Montreal at the Rogers Cup. 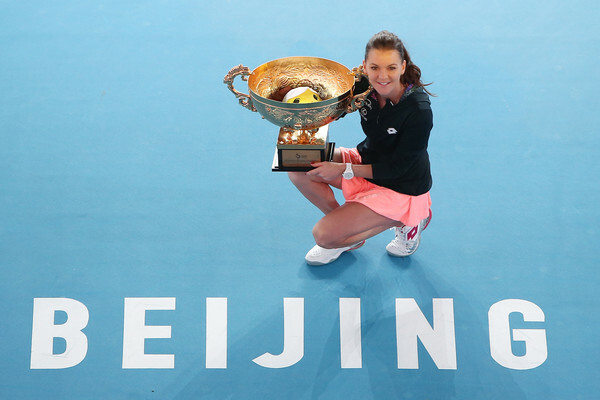 More than any other player in this countdown who has not won a Major, except maybe Agnieszka Radwanska, capturing one of the Big 4 events is the missing piece in Halepeno’s trophy case. She can pick up a lot of points if she makes a run at the 2017 Australian Open in a few weeks, where she was out in the first round in 2016. Appearances in the quarters of Wimbledon and the US Open were more in line with her ability, but she should be setting goals beyond that at this point. I see no reason, barring injury, that Simona can’t challenge for a Major every year for the next 5 years…maybe more. In another countdown post, I wrote about In-Gee Chun playing a fuller schedule in 2017. If she does, she will be a Player of the Year favorite. Well, we don’t have to worry about a full schedule from another potential POY candidate, Canada’s prodigy Brooke Henderson. In 2016, the 19-year old led the LPGA in tournaments played (31) as well as rounds (121). Clearly, it was time well spent, with 15 top 10s, including 2 wins. She won her second straight Cambria Portland Classic. She didn’t crush the field like she did in 2015 when she Monday qualified and went on to set the tournament scoring record, but she did extend her rounds under par at Columbia Edgewater to 8 in a row. Her biggest win in 2016, and to date, was her first LPGA Major at the KPMG Women’s PGA Championship. 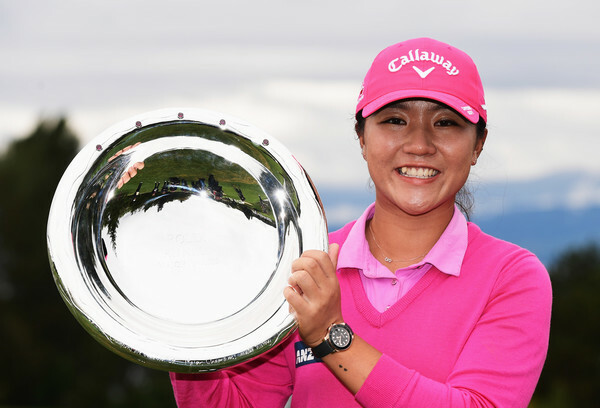 If you are going to win your first LPGA Major, what better way than to beat the best player on tour, Lydia Ko, in a playoff? Well, as an aside a healthy and focused Inbee Park might have something to say about who the best player on tour really is. Be that as it may, Brooke still stared down the current Queen of women’s golf in a Major, winning on the first hole of the playoff. What Brooke, Lydia, Ariya Jutanugarn and a couple of handfuls of others are doing at such young ages is astounding. Henderson is already only 1 victory shy of Lorie Kane’s 4 wins, which is 2nd in LPGA victories by a Canadian. It seems almost inevitable barring injury or playing too many tournaments and burning out that Brooke, at only 19, is a threat to break Sandra Post’s Canadian LPGA win mark of 8. For the fourth annual edition of my WTA and LPGA money list countdown I will focus on the dynamic dozen from each tour, the top 12 on the money lists. For the WTA, singles, doubles and mixed are combined for total earnings. 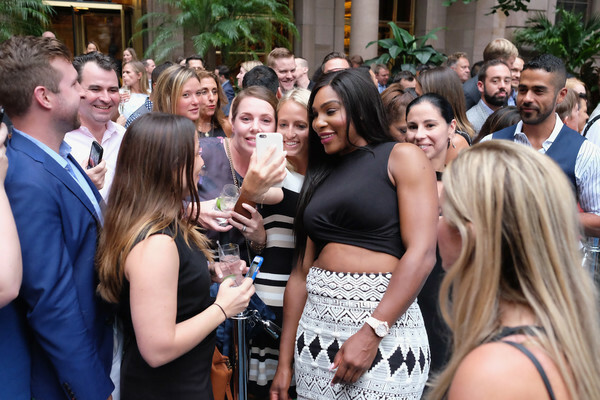 Here are the #2 players for 2016: Serena Williams (WTA) and Lydia Ko (LPGA). You know Serena Williams is on a level beyond any but maybe one or two historic tennis players when she wins Wimbledon (singles and doubles), wins Rome, finishes runner-up at the Australian Open, Roland Garros, and Indian Wells, making over 7 million dollars in prize money…even though she took the entire fall season off after the US Open…and it’s considered a down year. However, that’s how it is when the end of the year rolls around the number 2 is next to her name…actually, any number other than #1. But the 35-year old Williams is still such a force in the game that I would not bet on anybody other than her to win in Melbourne in a few weeks. That’s not to disrespect Angelique Kerber, Simona Halep or anybody else. Although Serena has slipped to #2…I’m not sure yet if that’s a sign of age and attrition catching up with her or merely a temporary bump in the road. We’ll see soon enough down under where potential threats (if her game is truly diminishing) like Victoria Azarenka, Petra Kvitova, Madison Keys and Maria Sharapova will not be there. In 2016, Serena’s “down” year had 3 Major finals and at least the semis of all of them. If she doesn’t duplicate at least the semis…and I would expect an appearance in the final…then perhaps it might be time to entertain the possibility of slippage. Basically, what I said about Serena Williams can apply to Lydia Ko. 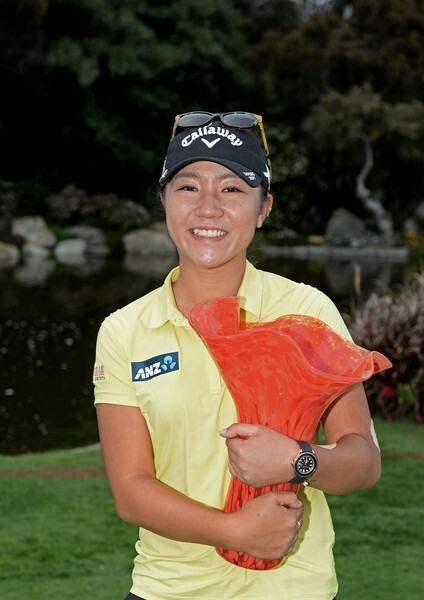 Yet another amazing year from the Kiwi prodigy; her 2nd LPGA Major at the ANA Inspiration to go along with titles at the Kia Classic, Marathon Classic and Walmart NW Arkansas Championship. She also won the Silver Medal at the Rio Olympics. Had Lydia played a couple more tournaments, depending on how she placed maybe just one more tournament, she probably wins the 2016 Money title instead of barely finishing runner-up. She also lost the Player of the Year and Vare Trophy races by thin margins. The Vare Trophy was paper thin, with Ko losing out to In-Gee Chun with a 69.596 scoring average to Chun’s 69.583. She won 4 LPGA titles in 2016, 5 LPGA titles in 2015. 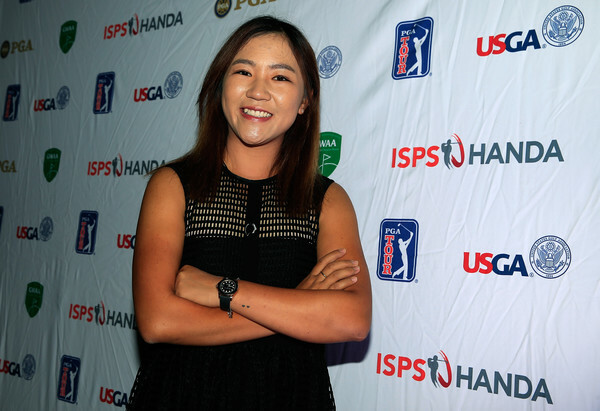 She has14 LPGA titles at 19 years old. 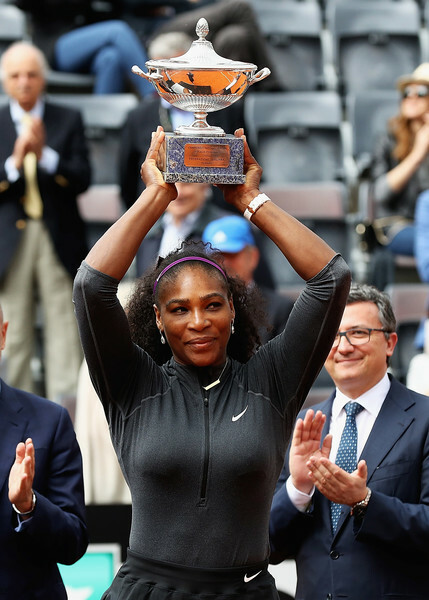 If she keeps up the pace she’s set the last two seasons, by the end of 2018 she will have more titles than her age. I don’t have the lifetime of LPGA fandom that I do in tennis, where I can barely remember a time when I wasn’t a tennis fan. I’ve only followed the LPGA since 1998. That’s relatively short compared to other fans that I know. But still, it’s getting close to 20 years soon…and I have never seen anything like Lydia Ko on the LPGA, what she has done and continues to do at her age. If she keeps up the pace she’s set the last two years, she could qualify for the Hall of Fame…by the age of 21! Now, I realize she would lack the qualification of time on tour…I’m just talking points. She would have to stay on tour and build up the years to get officially inducted. This is so special to watch. I remain in awe of Lydia Ko. For the fourth annual edition of my WTA and LPGA money list countdown I will focus on the dynamic dozen from each tour, the top 12 on the money lists. 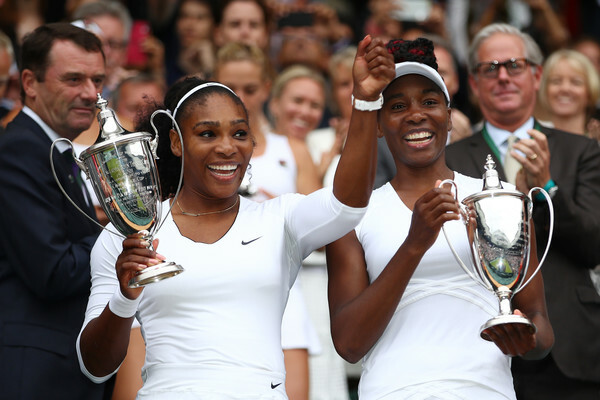 For the WTA, singles, doubles and mixed are combined for total earnings. Here are the #1 players for 2016: Angelique Kerber (WTA) and Ariya Jutanugarn (LPGA). It wasn’t even that Angelique Kerber won every tournament she played in 2016. Sure, she won her first two singles Majors at the Australian Open and US Open, along with a title at Stuttgart. However, she wasn’t always the one on top. But so many times when the final of a tournament rolled around, she was there. In addition to the two Majors she won, she was also the runner-up at Wimbledon and the Silver Medalist at the Olympics. 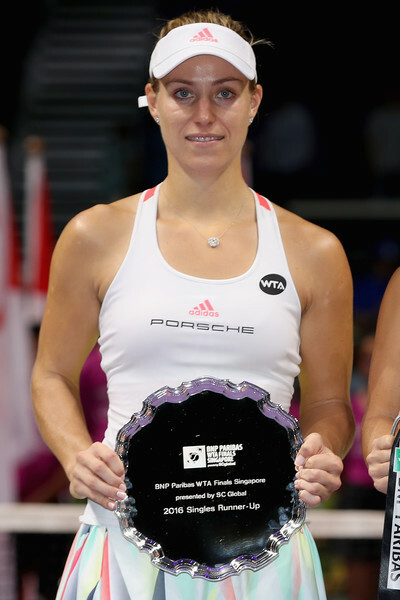 Angie was also runner-up in Singapore, Cincinnati and Brisbane…in fact, runner-up in singles and doubles in Brisbane. 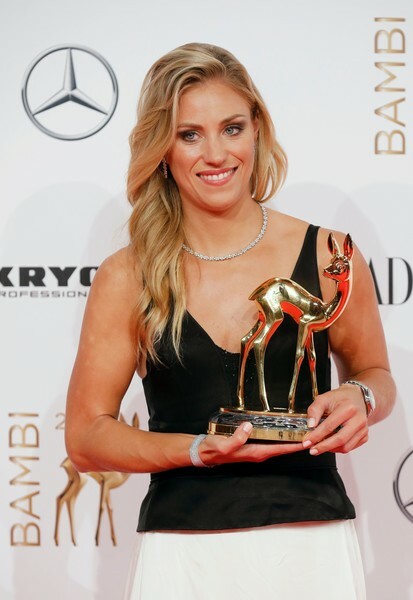 In her run to the world #1 ranking and 2016 money list title, Kerber played a brand of consistent high level tennis unmatched by anybody for the entire season. Starting 2016 ranked #10, she became the first German player to be ranked #1 or win a Major since her idol, Steffi Graf. What is amazing to me…and shows how much these things can turn on the smallest of margins…is that in the first Major of the year, Kerber was facing a match point against her versus Misaki Doi…in the first round! Confidence plays such a big part in Angie’s game…had she lost in the first round of the Australian Open, I say there is no way she has the year she did. Instead, she fought off that match point, going on to beat Serena Williams in the Australian Open final. 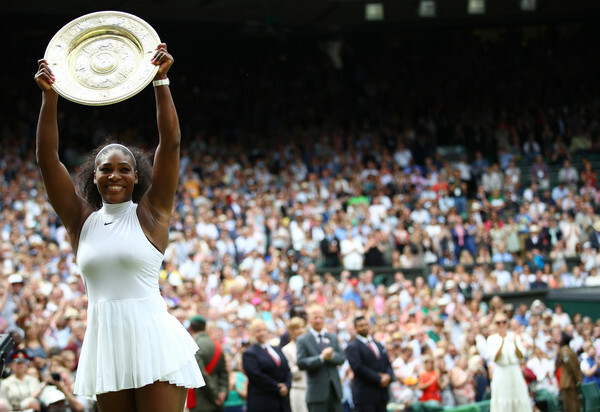 Instead of a first round loss to Doi, she captures her first Major with a win over Serena. After that, as they say, the rest is history. There was a time during the 2015 LPGA season where Ariya Jutanugarn missed 10 cuts in a row. She looked done. Toast. But the young Thai phenom refused to give up. Her game slowly started to improve toward the end of the season. Then, early in the 2016 season, with her first Major in reach she imploded again down the stretch at the ANA Inspiration. More talk of how May couldn’t finish the job ensued. With good people around her…her family, her sister Moriya, coach Gary Gilchrist and the people from Vision 54, Ariya didn’t crumble. She just smiled. By the time May 2016 was over, nobody on the LPGA was smiling more. Not only did she win her first title, she won her first 3 titles back to back to back to sweep the month. It marked the first time anybody in LPGA history won their first 3 titles consecutively. She was the first player representing Thailand to win an official LPGA event (Pornanong Phatlum has an unofficial win, Stacy Prammanasudh is an American LPGA winner of half-Thai heritage). May would go on to become the first Thai player, male or female, to win a Major, capturing the 2016 Ricoh Women’s British Open. Add in the Canadian Pacific Women’s Open and May finished a dream season as LPGA Player of the Year, the Money List winner, the Heather Farr Player Award winner, Race to CME Globe winner and a Thai national hero. All of that and she still has room to improve. If she ever figures out how to incorporate her driver, she might be untouchable.